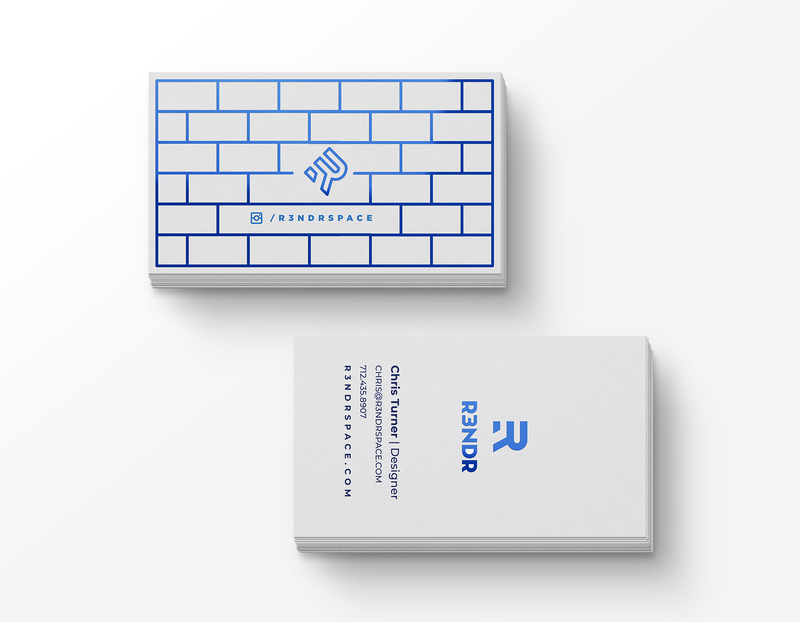 Alfredo Useche designed these business cards for R3NDR, a small architectural design studio based in Brooklyn. Alfredo was able to create different backgrounds for the cards by using standard elements from common blueprints as his design inspiration. 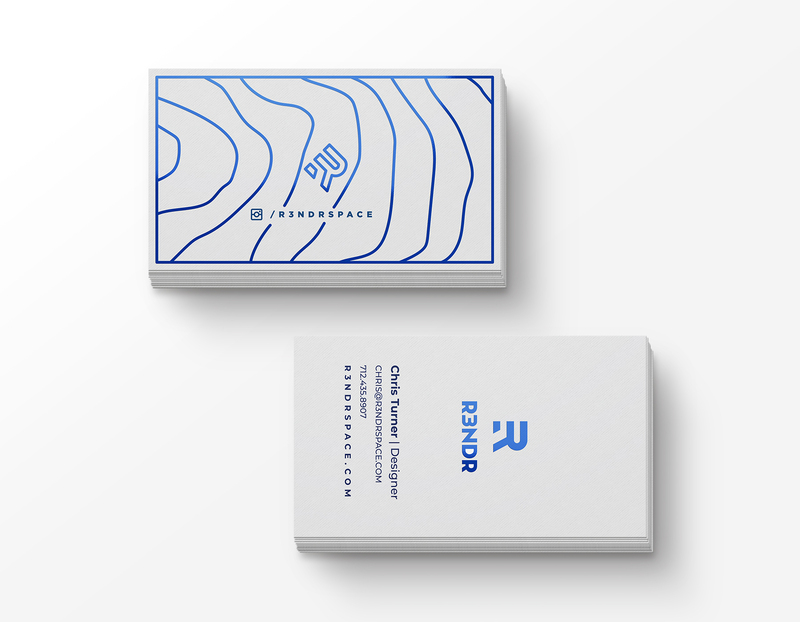 “The client is an architectural rendering studio, their process for producing realistic images always starts with a blueprint of the space before they can model it in 3D, so I took the standard notation for materials from several floor plans and used them as a unifying element across the R3NDR branding,” Alfredo said. There are a total of four variations created for the back designs, using the same colour palette throughout. The smart use of colour gradient creates dynamic for the cards. 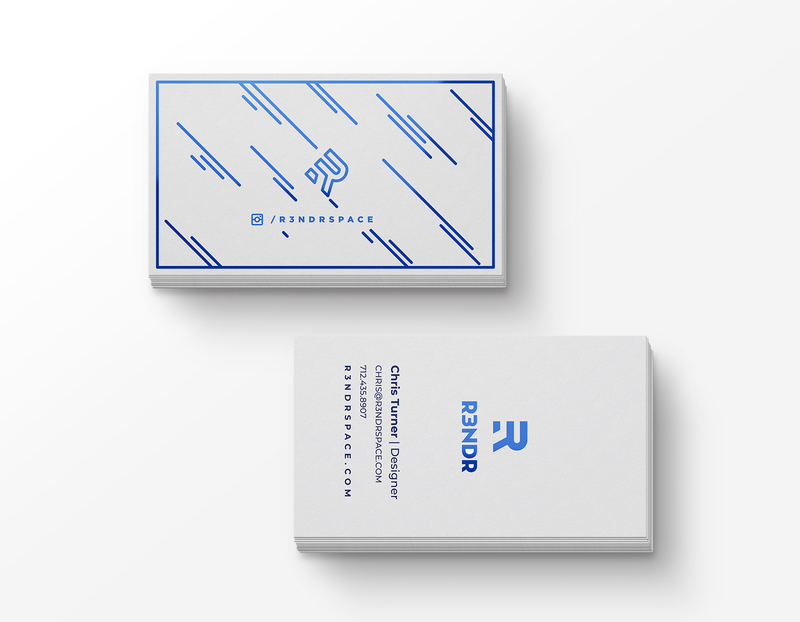 Both horizontal and vertical layouts are used respectively on the front and back sides of the card in order to give a unique twist on a regular business card. 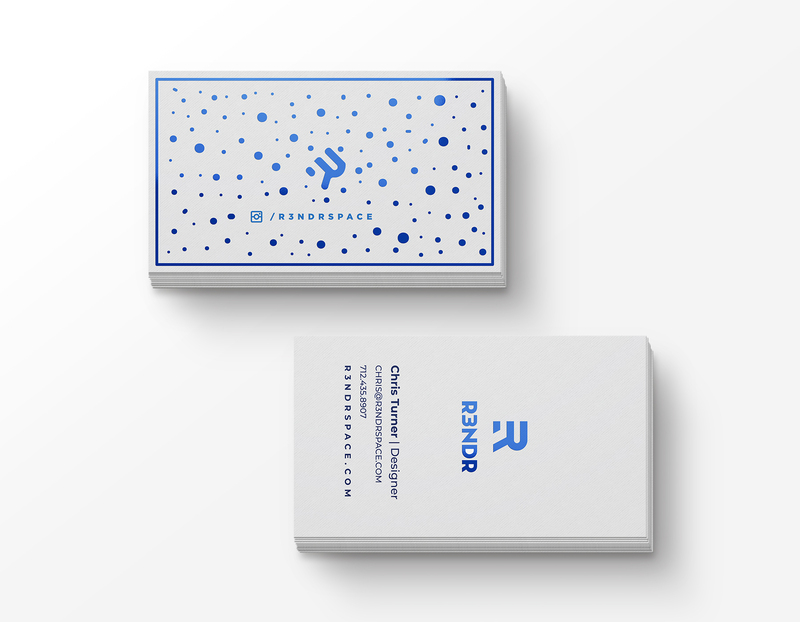 These business cards were printed by Altr Print on 20pt uncoated stock with color cold foil for the patterns and CMYK process for the texts.